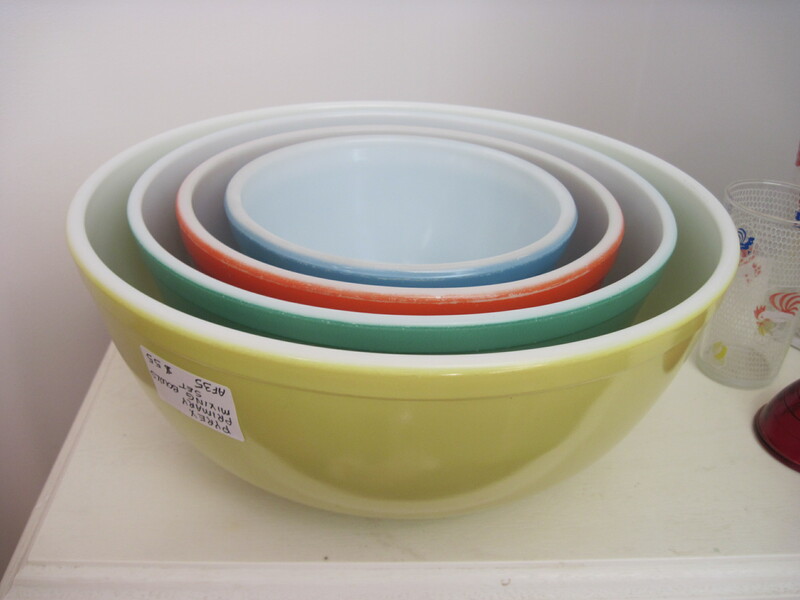 The original Pyrex mixing bowl set from the early 50’s when Pyrex started doing fired on colours on milk glass. love them! and pleased to have discovered your blog through vintage pyrex! Thanks. I have just started this blog and hope to post often. I have lots more pyrex to photograph and post so stay tuned!